Melt away stress, releasing tension with your customized pressure combined with hot stones. An ancient Chinese tradition, reflexology is the art of applying pressure to key parts of your hands, feet, and ears to stimulate comfort and healing in other parts of your body. Therapeutic bodywork that focuses on the special needs for mother-to-be relieving mental and physical fatigue. Revive your energy levels with a firm pressure massage along with a passive and active stretching to benefit range of motion. Relaxing harmonic flow with a light to medium pressure. 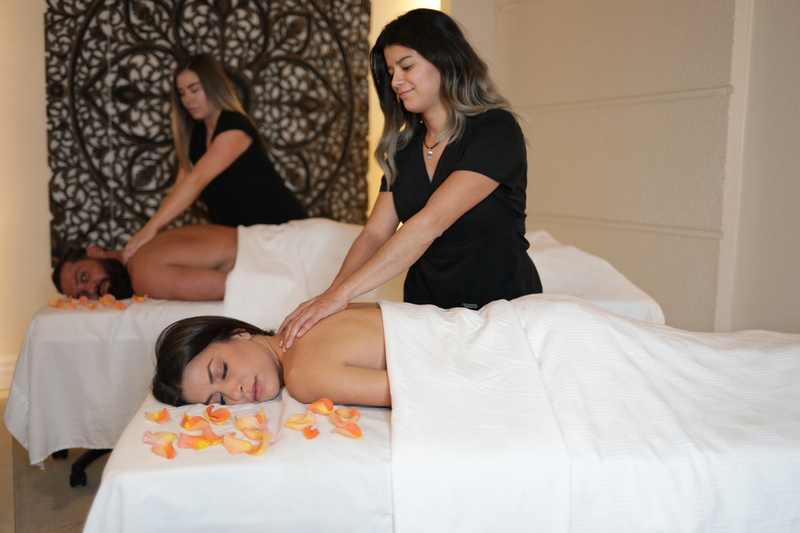 Firm and deep pressure that focuses on realigning deeper layers of muscles and connective tissues throughout the body. Experience getting a massage with a loved or a significant other.